Heat 2tbsp of butter in a medium pot on medium high, add the onion, chopped garlic, carrot and celery along with 1/2tsp each of salt, pepper and garlic powder. Cook for three minutes stirring periodically to start to sweat the vegetables. Add the chicken stock and brown rice, increase the heat to high and bring to a boil, then reduce to medium-low. Simmer the rice covered for 40 minutes, stirring periodically. Heat 2tbsp of butter in a sauté pan on high, add the sliced mushrooms and a 1/2tsp each of salt, pepper and garlic powder. Sauté until the mushrooms are nicely browned, approximately 5 minutes. Set aside and rest at room temperature. After your rice has cooked for 40 minutes remove it from the heat. Add the sautéed mushrooms, chopped parsley, 1tbsp of butter and more salt, pepper and garlic powder to taste (I added another 1/2tsp each, but I understand different people have different tastes) and stir well. Put the cover back on and allow to sit for an additional 10 minutes before serving. Stir one last time then serve it with your favorite protein! 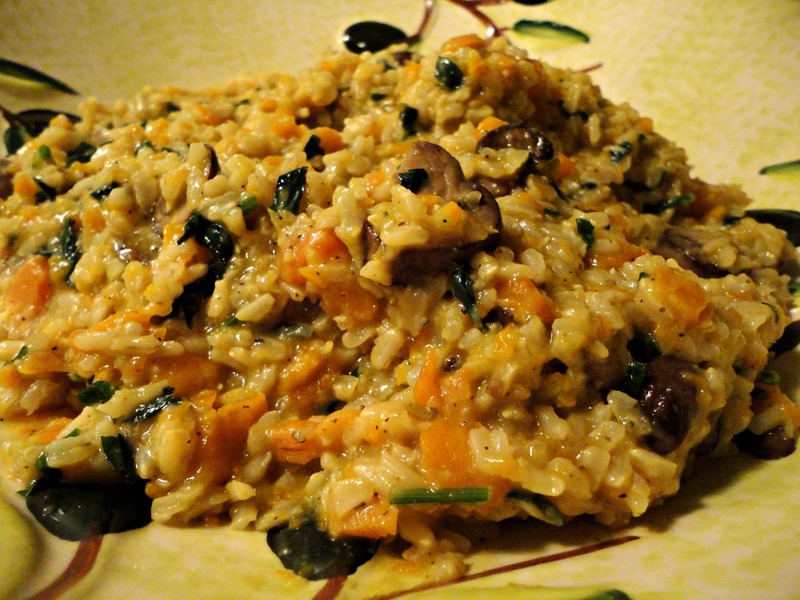 Tags: perfect pairings, perfect pairings at home, rice, rice pilaf, sides. Bookmark the permalink. I would switch the broth to veggie and the butter to olive oil and eat this for dinner-yummy! I thought about making it Vegan for you, but decided I like butter too much… lol.